As Well all Know,Facebook is an Outstanding Social Media that Holds our Classmates,Family,Friends and Other Business Activities in a single touch. 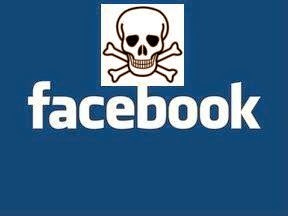 Moreover,In Cent Percentage of Universe Can't Live without even Login Via Facebook in Single Day.That Much We are addicted with Facebook Network.But What to do Facebook is Getting Spam on us and Getting Viral attack to each and every individual on the other hand . You Might Have Heard in News That 20 Million Facebook Accounts Has Been Hacked by various Hackers around the World.The Main Motive of them will be different based on the Profile they were dealing with it. However,You Ought to have Plugin Generated by Facebook Like Remember Browser ( as Shown Below) to safe you From Hackers and Other Robots attack. If You Made this Skillfully,You can easily escaped From Robots, and other Misbehavior activities by other peoples on your accounts,but not completely.So,If this continues,only way you to escape is :" Facebook Account Termination" as soon as possible. 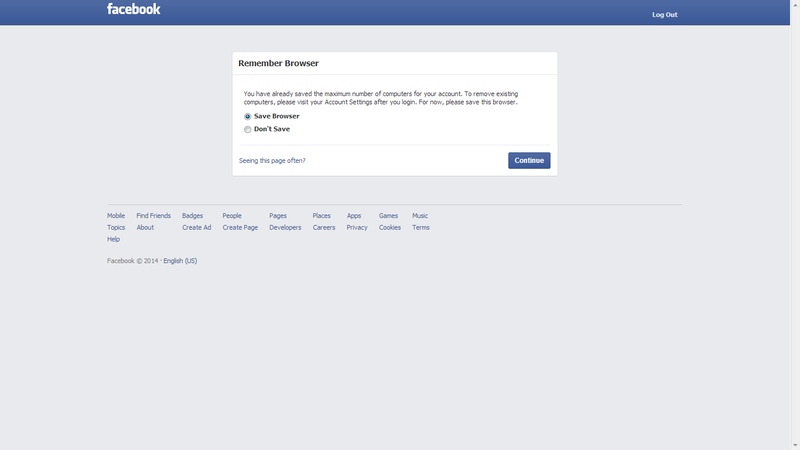 So,what to do.Many of them leave a message..
"Bye Bye Facebook"and Deactivate that account and leave Facebook. However,Your Duty is not completed yet. Robots can easily track your account and activate that. So,Here is a video Tutorial as well as Explanation below to Delete Facebook Account Permanently and Immediately. How To Delete Facebook Account Permanently and Immediately...!! Mostly, Most of them Love your Facebook account. Alright Here Facebook Has Made a solution for that also,If you want to Delete Your Facebook Account You can Initially Make a Back up Of Your Facebook Account and Continue With The Process Of Deleting Facebook Account Permanently and Immediately. You can Follow MintBeatz Step by Step Procedure to manage the Process to Create Back Up's. Take the Back Up of Your Account From Settings. At the bottom of the Setting You can "Download Copy"of Facebook Account. (That's Your Facebook Account Back up and Click Start My Archive Option. Then You can See a Pop up of "Request My Archive".Click Over at Start My Archive Button. It will Download all the Back up of You Facebook Account and will be stored at your Download bar.Click Okay. Now let's see How to Deactivate Your Facebook Account. Click on Deactivate Account at Bottom of the Page. So,Facebook Ask For Reason. So,Simply choose a reason for deactivation.Click on any Reason and and click on Confirm Button. It Will Deactivate Your Account. Now We Can See How To Delete Account Permanently. Click On the Lock Icon Provided Near Notification Bar. You can able to search Button. So,Please Search For Delete. Click on The First Link "How do i Permanently Delete my Account".and click on Let us Know Link inside Description. Click Delete My account.Another Pop Up Will Appears and Another Pop Up will be shown.Enter Your Password and Captcha Code and Click Okay. So,I recommend You to Have a look at the Video above,If you have any Doubt in this.